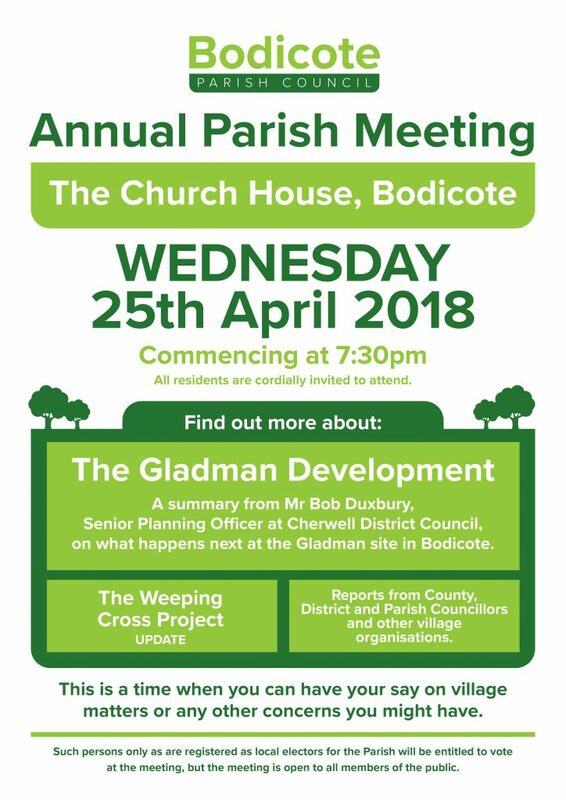 Posters will be going up around the village this week to advertise our ‘Annual Parish Meeting’, which takes place on Wednesday 25th April, from 7:30pm in Church House, Church Street, Bodicote. This year we have invited Mr Bob Duxbury, Senior Planning Officer at Cherwell District Council, to come along to talk about the Gladman housing development and spine road. If you would also like to find out what we have been up to over the last year, then please pop along.